News - Blur will record another album? Blur will record another album? Blur are set to record a new album, according to reports. The band, who are touring Asia, have apparently started putting down ideas for their first full collection in a decade. 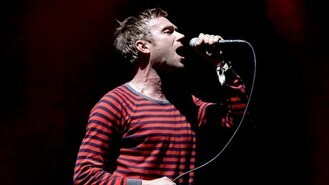 Frontman Damon Albarn told a crowd in Hong Kong that the band could be recording while filling in a gap in their schedule. He was quoted as saying: "We were supposed to be playing in Japan next week. Due to unforeseen circumstances we were unable to go there. "So we have a week in Hong Kong and we thought it would be a good time to try to record another record, so we're going to make one here." The Britpop band - Damon, Alex James, Graham Coxon and Dave Rowntree - first reunited in 2009 after spitting in 2003. Dame Shirley Bassey will perform at a celebrity Aids fundraiser at this year's Cannes Film Festival. Ludacris has revealed he would like to work with Eminem. A custom-made guitar used by both John Lennon and his Beatles' bandmate George Harrison has been given a rare public outing ahead of its auction for upwards of £130,000. Tyrese Gibson has revealed how he has been left to perform solo on stage, after recording with other stars. David Bowie's controversial new music video is back online after YouTube reverted its ban. The Spice Girls have finally decided to retire, according to reports. Indie rockers Reverend And The Makers are hoping to score a hit after their track Shine The Light was chosen as the official anthem of the FA Cup. Brit Award winner Tom Odell suffered a sinking sensation when he made a triumphant return to Los Angeles. Carly Rae Jepsen has revealed Nicki Minaj's rap performance on the remix of her single Tonight I'm Getting Over You has got the thumbs up from her grandmother.